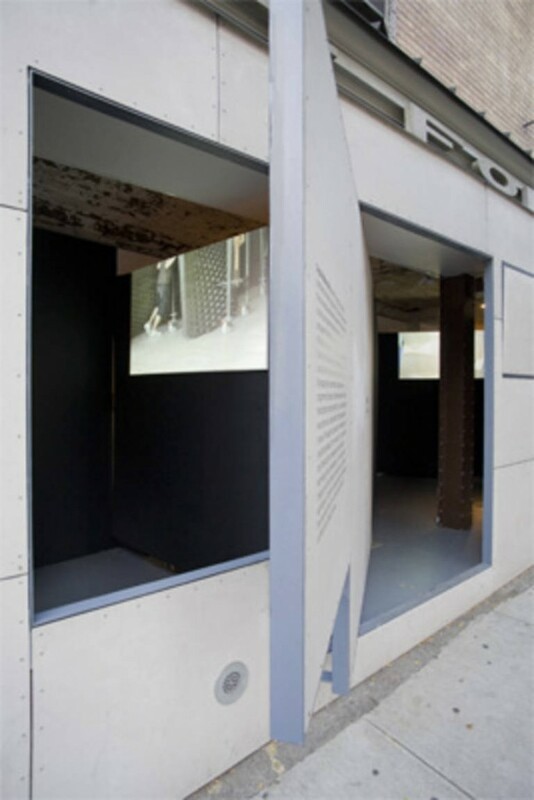 In September 2009, Storefront for Art and Architecture inaugurated an exhibition of the work of Swiss architects Gramazio & Kohler , Architecture and Digital Fabrication, ETH Zurich and, in conjunction with NYC Department of Transportation’s Urban Art Program, Storefront presented the first architecture project to be digitally fabricated on site, at 1:1 scale, in the United States. Developed through their research at ETH Zürich Faculty of Architecture, Gramazio & Kohler’s work explores highly complex architectural artifacts, built by industrial robots typically used to assemble automobiles and perform other high-precision tasks. The accuracy, strength and speed of these robots allow them to fabricate architectural forms of unprecedented complexity and intricacy. Gramazio & Kohler’s work represents the cutting edge of innovation in the field of digital fabrication in architecture. For many years architects have relied on digital manufacturing processes such as CNC milling or 3D printing as a tool for formal research at model-scale. For the first time, Gramazio & Kohler’s work explores the potential of mobile digital fabrication techniques that can fabricate at 1:1 scale on site. 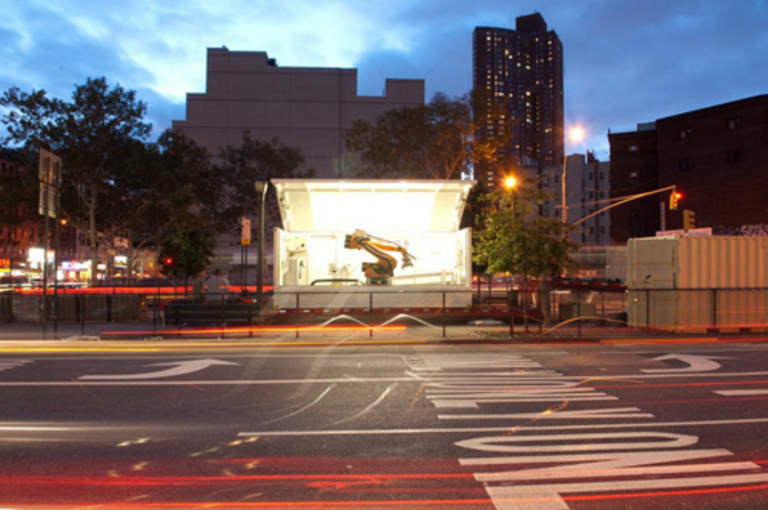 Positioned on the central mall on Pike Street, the robot worked for up to four weeks – in full view of the public – to construct a brick wall, a highly sculptural response to the specific identity of the site. 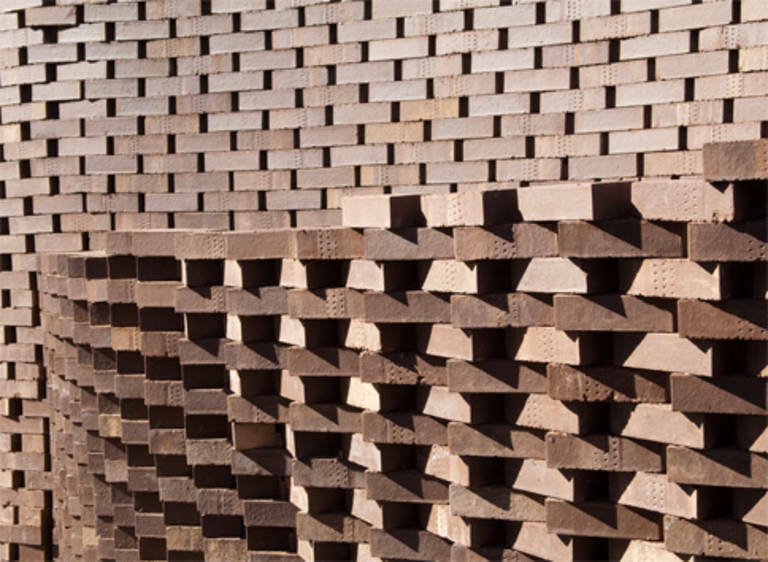 For the Pike Loop installation, more than seven thousand bricks aggregated to form an infinite loop that weaved along the pedestrian island. In changing rhythms the loop lifted off the ground and intersected itself at its peaks. The exhibition at the Storefront Gallery presented the results of Gramazio & Kohler’s ongoing research into digital fabrication in architecture at ETH Zurich Faculty of Architecture. The same robot, R-O-B, unit recently built the award-winning installation, Structural Oscillations, at the 2008 architectural biennial in Venice. Collaborators: Michael Knauß (project leader), Ralph Bärtschi, Markus Giera, Michael Lyrenmann, Kirsten Weiss, Brett Albert, Gabriel Cuéllar, Léonard Kocan, Marc Pancera, Tom Stewart. Exhibition co-curated by César A. Cotta. The Urban Art Program is an initiative of New York City’s Department of Transportation intended to invigorate the City’s streetscapes with engaging temporary art installations. As part of the World Class Streets initiative, art will help foster more vibrant and attractive streets and offer the public new ways to experience New York City’s streetscape.